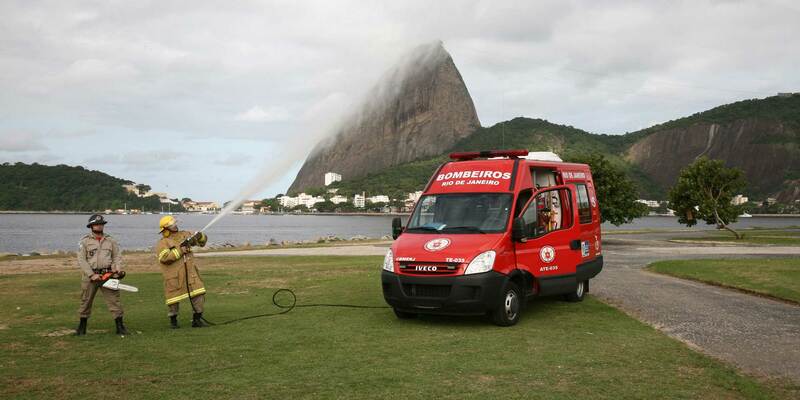 Since the company was founded, mobile firefighting units have been part of our core business. Callies offers a wide range for both fixed vehicle installation and operation directly at the power take-off (PTO). Apart from their excellent performance capacities, the systems are characterized by an extremely compact design and low weight. Callies pumps can be operated directly at the shaft at speeds between 800 and 3,000 rpm without reducing gear, regardless of engine or drive type – combustion, electric, or hydrostatic. Due to their extremely space- and weight-saving construction, Callies systems can be installed in existing engine rooms, for example in underfloor spaces, without loss of usable space. This is another benefit of our technology: the small tank size and the very small installation dimensions of the high-pressure pumps. The stainless-steel axial piston pumps, which are the only pumps used by Callies Firefighting Systems, are characterized by an extremely compact design, low weight, and excellent performance features. In industrial use, these pumps can clock several thousands operating hours without maintenance. Due to the axial piston concept and the consequential hydrostatic bearing of the pump in water, which also serves as a lubricant (no oil! ), engine speeds of up to 3,000 rpm can be achieved. Callies systems can thus be connected directly and without gears to the combustion engines, electric engines, or power take-offs (PTOs) of various vehicle types. In principle, hydrostatic drive options are also possible; however, they would have to be adapted and approved individually for each vehicle model. Your browser is not able to play this video. Some professional and factory fire departments already use Callies fixed-installation systems with rapid-attack equipment and 100-meter-long (328-ft.-long) high-pressure hoses (DN 12). Output quantities (Q) of between 25 and 300 liters (7 and 79 gallons) per minute at a constant pressure (PPumpe) of up to 130 bars (1,885 psi) can easily be achieved and will only result in minimal frictional loss (ΔP), which – in contrast to frictional loss in standard-pressure systems – is negligible. With fixed-installation systems in particular, the extremely favorable weight ratio of the Callies systems plays a key role and combines all the above-mentioned benefits of a mobile power pack with even larger tank volumes and thus greater action range for the operating units. The length of suitable hose lines can be selected freely and, due to the minimized hose diameters, also allows maximum mobility. Whether on a snowcat, an immediate response vehicle, a turntable ladder, or a fire truck: Callies systems are in use wherever a powerful response is required with a short setup time. In addition, Callies offers stand-alone cart-mounted fire-extinguishing systems that may be fitted with high-pressure hose lines of up to 150 m (492 ft.) in length. Areas of application include fire safety services, fire watches, scene areas, and industrial applications. Especially in fire prevention, these units may be employed during fire watches, for example at welding sites. The cart system with a capacity of up to 400 liters (105 gallons) of extinguishing water and 150 meters (492 ft.) of hose material is, for instance, used on the 18-ton special firefighting vehicle of Daimler AG at their Mettingen plant, by the factory fire department of Robert Bosch GmbH in Schwieberdingen, by Bombardier Transportation GmbH in Mannheim, and by the factory fire department of Evobus GmbH. The main advantage here is rapid deployment with maximum mobility. 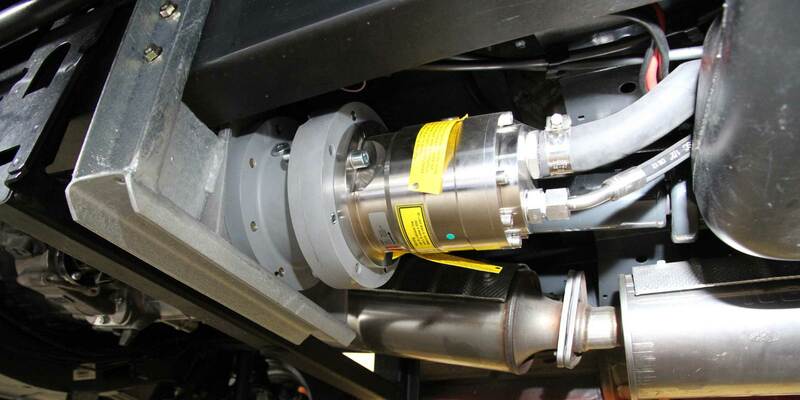 A a special feature, Callies cart systems may also be equipped for stationary automatic operation. This permits the operation of fixed nozzle systems, for example, in experiment setups, test labs, with particularly high-risk machinery or components, etc. The cart placed outside the hazard area is connected via a pipe line to the pre-installed high-pressure nozzle system. It may be triggered either manually or via the standard extinguishing interface (VdS 2540) by a central fire alarm system. With their unlimited duration of the fire-extinguishing operation and their high degree of reliability and flexibility, these systems, with their comprehensive surveillance features, provide an interesting alternative to bottle systems. For their maximum-pressure fire-extinguishing systems, Callies Firefighting Systems offers a special jet-nozzle technology that not only produces an optimized water mist but also provides excellent comfort of operation. Firefighting with these jet nozzles does not cause water damage comparable to standard-pressure systems, since no large quantities of water will “rain down” outside the fire itself. This technology is thus very efficient, and it is the preferred option wherever water supply is insufficient or water damage has to be minimized. The basic requisite in achieving this goal is a sophisticated jet-nozzle technology that is in no way comparable to the high-pressure “water lances” sold to consumers for cleaning and similar purposes in DIY markets, which are completely unsuitable for fire services. Callies Jet Nozzles are made of solid stainless steel, they are extremely robust and may even be used, for example, to smash a car’s side windows, if necessary. The actual stainless-steel nozzles, which are located in a recess, will not be damaged by such actions, and they can easily be replaced. The special penetrating power and extinguishing effect of the Callies HPWM is the result of a coordinated concept in conjunction with a unique jet-nozzle technology. Our special nozzles will allow you to generate an HPWM with a droplet size range between 10 and 100 µm (“microns”). The droplets median volumetric diameter (MVD) lies between 40 and 80 µm. The Callies HPWM will envelop the fire like a coat and immediately absorb a large amount of energy. One liter of Callies high-pressure water mist will have a surface area approximately the size of a soccer field. At the same time, heat and oxygen are withdrawn from the fire, causing it to go out. 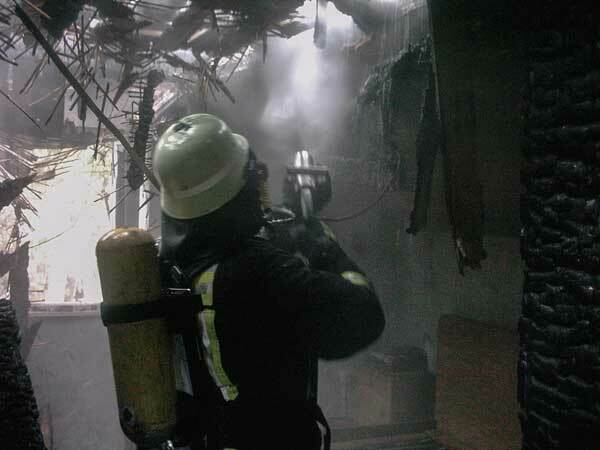 The specially developed HPWM jet nozzle combines the highly effective water mist with a throw distance of more than 10 m (33 ft.) and a high-energy solid jet with a range of over 12 m (39 ft.), which may be used to break open low-lying pockets of embers. The operator can select the type of jet with a bail switch without ever taking even one hand off the nozzle. Moreover, the two types of jets may be steplessly combined with each other, permitting the most effective firefighting. Should the operator unintentionally let go of the jet nozzle, a built-in dead man’s switch will instantly cut pressure. Moreover, in spite of the 100-bar (1,450-psi) jet pressure and the large throwing distance, the Callies HPWM poses no danger. However, the high-energy solid jet must not be pointed at living beings at short range. The blowback at the nozzle that might be expected with pressures this high is actually barely measurable and thus irrelevant to the safety of the operator. The Callies Power Nail (CPN) was developed for fighting concealed or poorly accessible fires and for penetrating walls and doors. Thanks to the protected nozzles at the tip of the nail, the CPN will spread a highly effective water mist and will extinguish or minimize a fire even in poorly accessible locations. Doors may remain closed, thus containing smoke and fire inside the burning room. The droplet size of the Callies water mist lies between 20 and 100 µm, has a tremendous cooling effect, and will render the seat of the fire inert.